CorelDRAW Graphics Suite X8 v18.1.0.661 RePack by KpoJIuK (Multilanguage) | Free eBooks Download - EBOOKEE! Posted on 2016-08-27, by manhneovn. 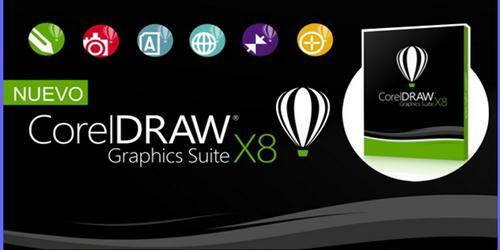 CorelDRAW Graphics Suite X8 v18.1.0.661 RePack with small size, working with Windows 64&32 bit, pre activated. Comprehensive graphic design software, pro tools for design, layout and photo editing. No comments for "CorelDRAW Graphics Suite X8 v18.1.0.661 RePack by KpoJIuK (Multilanguage)".